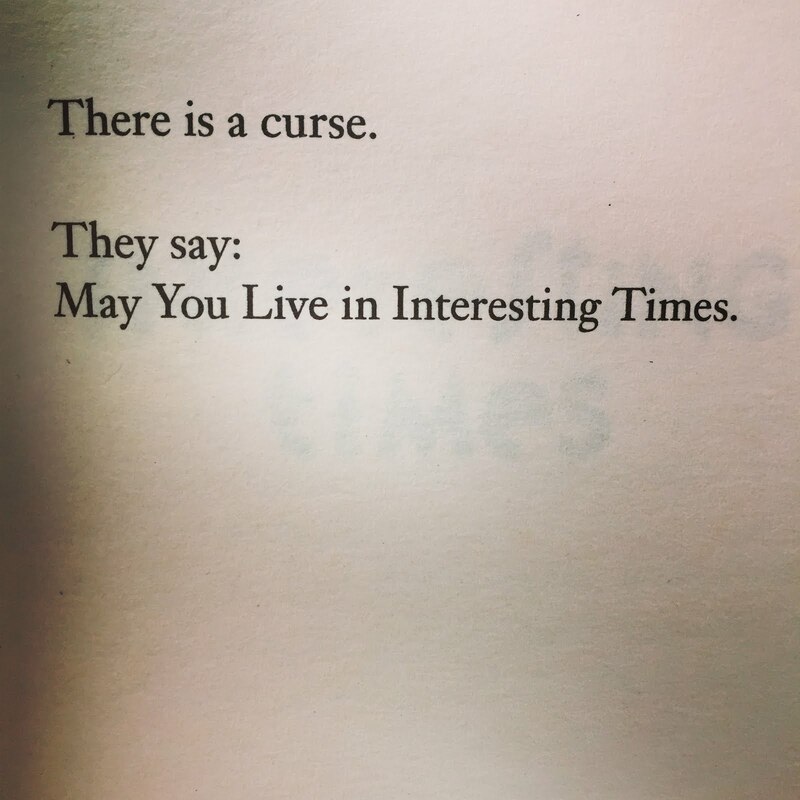 When I posted that picture, I had multiple conversations on both Instagram and Twitter about how we are all evidently cursed at the moment and how we are certainly hoping for dull days to return sooner than later. 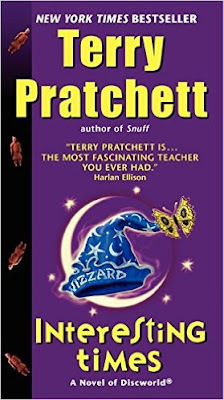 In this book, the interesting times are happening to our old friend Rincewind. He gets sent to the Counterweight Continent and has all sorts of unpleasant adventures (as he usually does), even running into some of his former acquaintances, Cohen the Barbarian and Twoflower. I was kind of up and down while reading this one. There were some moments of squicky feelings since the book is set in a loosely-veiled Asia. Sometimes the parodies seemed to cross the line ever so slightly into unfavorable stereotypes and were not cool. But, other times, there were breakings of said stereotypes and quite a few funny moments and then I would get wholly back on board. I think, after this, I'll just head back to good old Ankh-Morpork for a while. 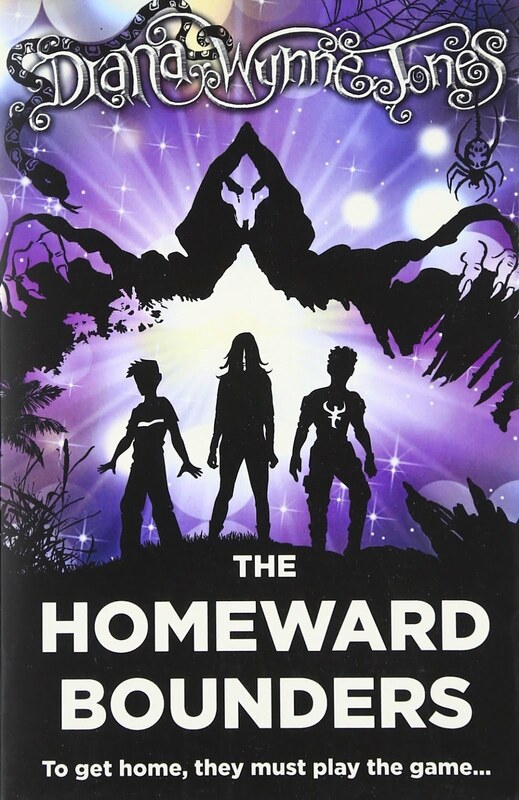 And finally, I finished off my Diana Wynne Jones reading with my third time through The Homeward Bounders. 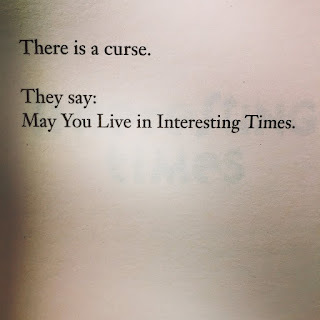 I swear that this novel is different every time I read it. 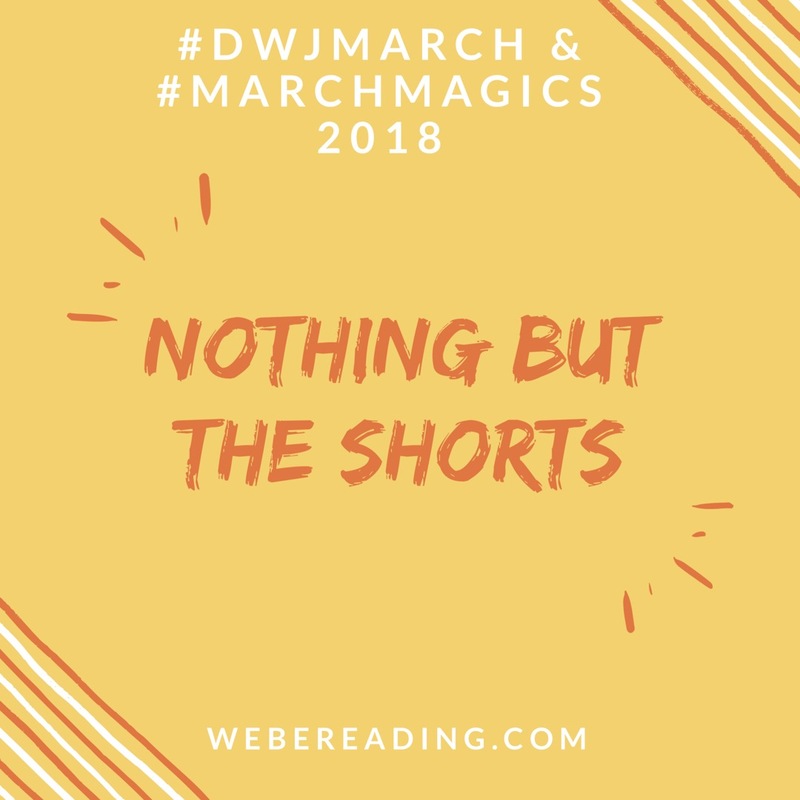 This time I really thought a lot more about the various worlds (I think because I read the Magids books and the Chrestomanci short stories and even Everard's Ride during the month) and also about the nature of Them, the baddies of this book. I also decided that this could possibly be Z's entry book into DWJ so I'm going to try and get him to give it a chance this summer! I had so much fun this year with the short stories and all. I even had a couple of unexpected moments of DWJ/Pratchett synchronicity -- first I saw in A Blink of the Screen that one of the short stories that Terry wrote was for a collection that Diana curated, and then, in Deep Secret, Diana had one of the characters at the fantasy convention wearing an "Oook!" shirt -- in reference to Pratchett's Librarian, of course! What a joy to think of these authors admiring each other. Well, that's it for me. Please share your final thoughts and links over the next couple of days. 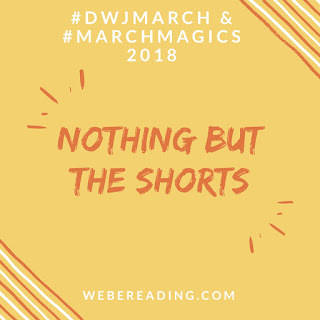 Thank you to each of you who spread the word about the event as it approached and thank you again to those who read and shared something new or something beloved (or a healthy mix of both) over this lovely March Magics / DWJ March event. I hope to see you back here again next year! On a personal note, today is the start of Z's spring break and then I'm having a houseguest (mom), starting my first pieced quilt (with mom), heading out on an anniversary weekend trip (15 yrs married/25 together ... eek! ), and having a birthday (old) so I'm going to take a couple of weeks, possibly a month off from blogging. So, don't forget me while I'm gone and I will be back around the end of April/beginning of May! 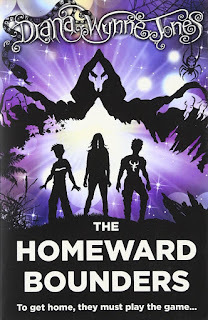 Yesss, Homeward Bounders is a great entry book! When I was teaching I started some boys on it with great success. Thank you for keeping up this event, even though I didn't participate so much this year I enjoy seeing all the love around these two authors. That is good to hear about HB! I'm definitely going to put it on his summer stack. And I'm happy as always to have someone else who loves these authors remembering them with me this month. I love Homeward Bounders so much. It has never gotten the attention it deserves. Thanks again for participating this month and sharing your DWJ love with the world! I hadn't read Pratchett the first time I read Deep Secret either so that was a fun little gift this time through. :) And that anchor on Pratchett's book would creep me out too! Luckily it's already filed away safely. Haha! Thank you for enthusiastically joining me again this month! I'm so happy to have you celebrating and sharing the love of DWJ and Pratchett with others.